← Imo Governorship and the Arithmetic of Ihedioha’s victory. 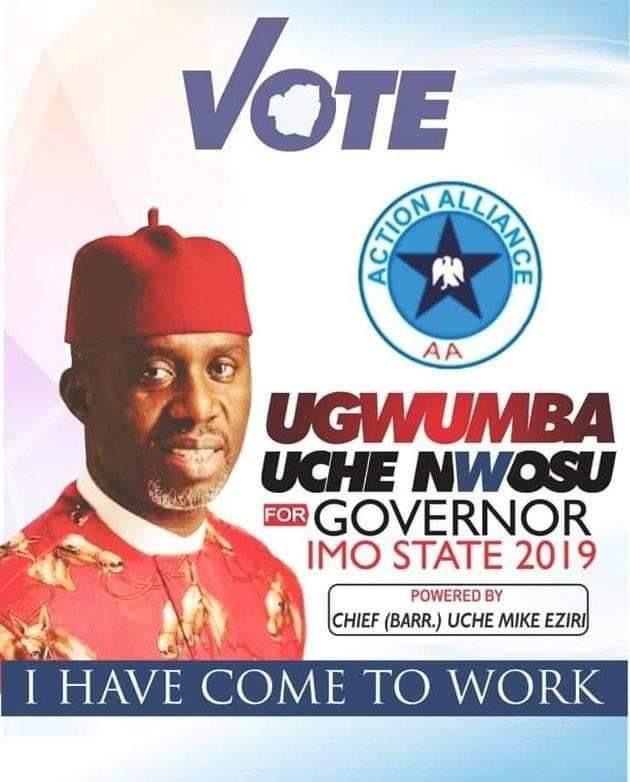 The governorship candidate of the Action Alliance in Imo State, His Excellency Ugwumba Uche Nwosu has directed all members of his campaign organization, chieftains of the Action Alliance and all official support groups within his campaign organization to be at the Dan Anyiam Stadium tomorrow, 29th January, 2019 in solidarity with the President as he visits Imo State for his official campaign flag-off in the State. The visit of the President to Imo State is another opportunity for the Action Alliance in Imo State to practically show the President that we were not joking when we gave him a post-dated cheque for 1,000,000 votes, which he will cash on the 16th of February, 2019. We shall give the President the reception he deserves. We urge all our supporters and Imolites in general to discountenance any fake news to the contrary.